Huffington Post - Oprah announced on Monday that her cable network, OWN, will air special programming to honor the late Whitney Houston. 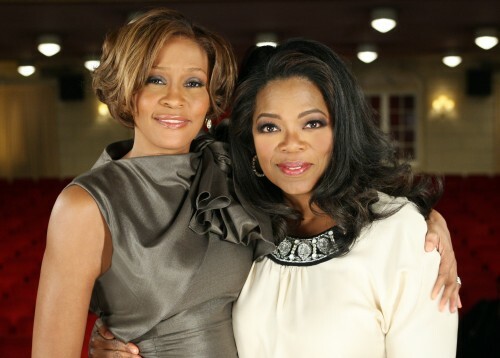 Set to air Thursday night during prime time, OWN will broadcast a two-hour special title, "Remembering Whitney: The Oprah Interview." As the title indicates, the special will be a re-air of Oprah's 2009 interview with Houston. In what was widely believed to be the mark Houston's comeback after years in a dysfunctional marriage and excessive drug use, the superstar sat down with Oprah and gave one of the most candid interviews of her career. Houston opened up about her "drug of choice" and detailed how her mother, Cissy Houston, brought police to Houston's home to stage an intervention. Following the news of Houston's death, Oprah tweeted about her admiration for the music icon. "To me Whitney was THE VOICE. We got to hear a part of God every time she sang. Heart is heavy, spirit grateful for the GIFT of her," Oprah wrote.